Mark your calendars for the return of live thoroughbred racing at Colonial Downs in New Kent this summer! A 15-day, five week meet will begin August 8th and continue through September 7th with racing generally held on a Thursday, Friday and Saturday basis at a 5 PM post time. There will be a Labor Day Monday matinee card as well. 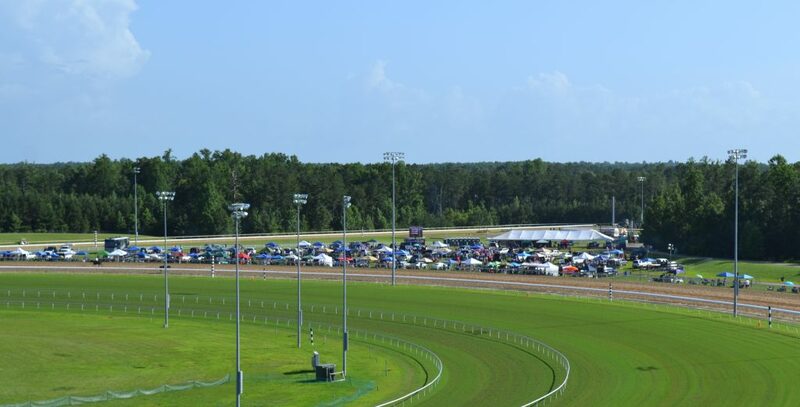 The first turn area at Colonial Downs will be used for tailgating when racing returns in August, 2019. Highlight of the meet will be the return of the Grade 3 Virginia Derby on August 31st. The 1 1/4 miles event traditionally features some of the country’s top three-year-old turf horses and is held over the Secretariat Turf Course, the widest grass course in North America. 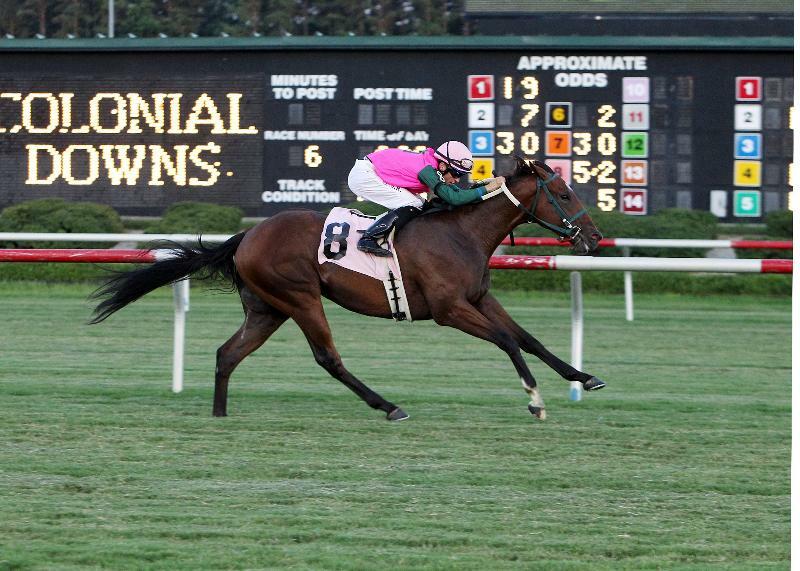 Thoroughbred racing was last held at Colonial Downs in 2013. Photo by Coady Photography. This will be the 17th running of the stakes in New Kent. The last time it was held there was in 2013. Several editions of the Derby have been held in Maryland in recent years, where it was run as the Commonwealth Derby. Renovations are underway at Colonial Downs. 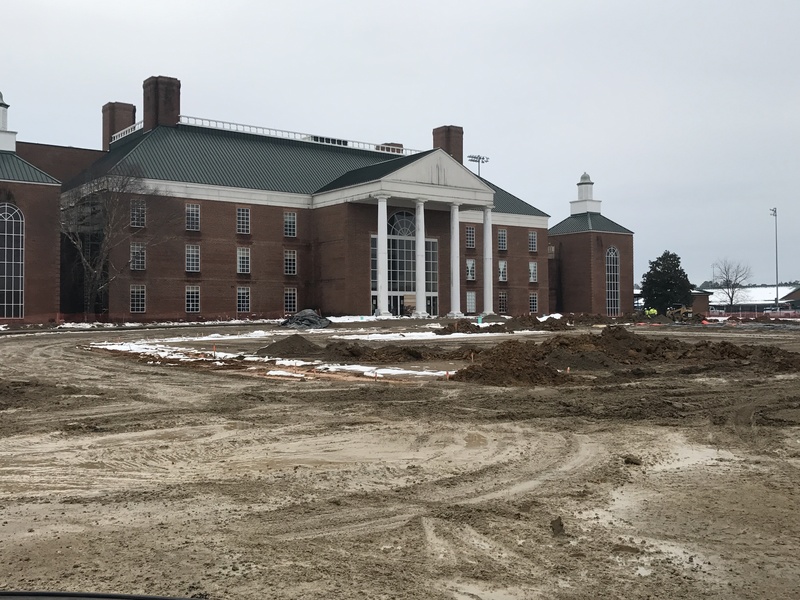 A new front entrance area will be one of the many new features. The Virginia Oaks stakes will be held the day prior. Stay tuned to this website and www.colonialdowns.com for all the exciting details as they become available.